If you’re waiting for the first Nokia phablet, well we’re not that far away from its launch and associated rumors are accompanying it. The device is called Nokia Lumia 1520, previously dubbed Bandit and it leaked today via a press render. @evleaks published the leak and he is a very solid source, who last year published legit images of the Nokia Lumia 820 and Lumia 920 days before they were unveiled. Lumia 1520 marks a new chapter in the history of Nokia, since it’s their first phablet and their first jump over 5 inches in diagonal. 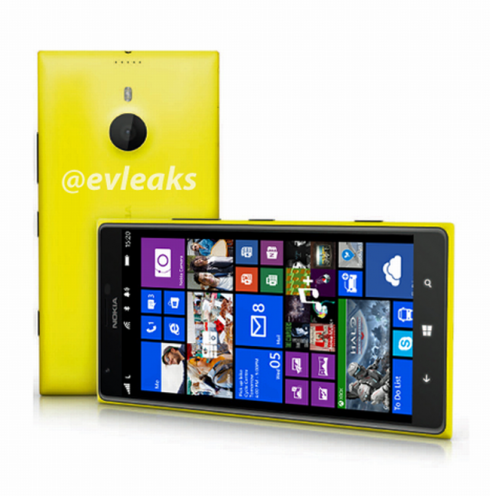 The Nokia Lumia 1520 is said to pack a 6 inch Full HD screen, a quad core Snapdragon CPU and Windows Phone 8 GDR3. The screen offers one extra column of live tiles and the design of the back reminds me a lot of the Nokia Lumia 925. Other than that the design feels very familiar for the Lumia series and I sure hope this model isn’t exaggeratly big, since Lumias have that tendency.